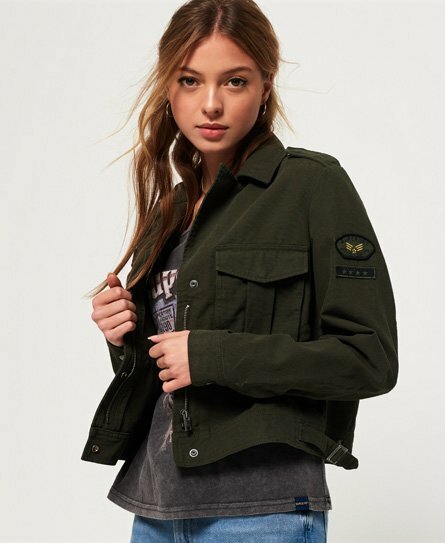 Superdry women's Military crop jacket. This military inspired jacket features two large front pockets, zip and popper fastenings, adjustable straps on the waist for your perfect fit and popper fastened epaulettes. Finished with Superdry logo badges on the shoulder and chest and a metal Superdry badge on the pocket.